The subject of the tithing and giving of our money, talents and time is controversial. 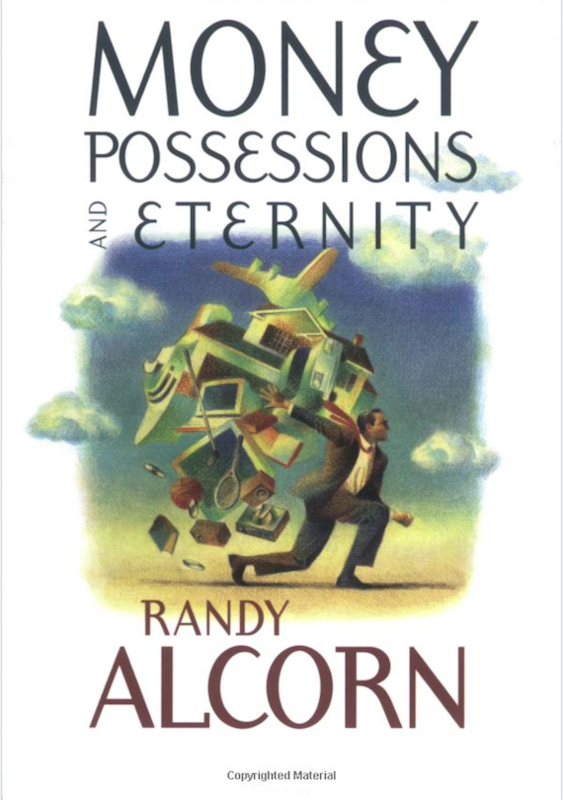 Randy Alcorn addresses these issues clearly and concisely in the book below. Click on the picture for a direct link. The manner in which we utilize our time, talents, and money is critical to our walk with God and has eternal implications. David Platt also covers this key issue in his book RADICAL: Taking Back Your Faith From The American Dream. So what makes it so important? It determines the difference between living as a cultural Christian or a true Christ follower. And unfortunately, many cultural Christians believe they can live like the world and go to glory when they die. They have no idea they may be destined for Hell. Scripture is clear on issues of finances and giving of time, and even cultural Christians who follow the rules and act out the spiritual walk may end up at the Throne of Grace only to be cast from God’s presence forever. Their deeds here will be worthless, their earthly mission lost, and eternal lives doomed. This is so important that it was addressed here on Wednesday, April 9th in the blog, THIS SIDE HEAVEN—THAT SIDE HELL. But cultural Christians, especially in America, have developed a false sense of freedom to do what they desire with their time, money and talents, almost as if they have a pass from God because of where they live. I say that because I don’t see it elsewhere. In countries where citizens own far less than any of us in America, they share what they have and help others sacrificialy. In other words, they give until it hurts. On a recent trip to Africa, the destitute inhabitants of a small village insisted on preparing us a meal from their precious food supply after we gave medical care all day. It would have been an insult to decline to take their food. It was an incredibly humbling experience. How often do we see that kind of hospitality in our own country where we never wonder where our next meal is coming from and groceries are a five-minute drive in any direction? The greatest danger lies in the deceptive nature with which cultural Christians justify their inappropriate actions. For example, we are to tithe on the gross amount we earn. If you doubt this or argue that tithe should be based on your income after taxes because you don’t have use of your income before taxes, it isn’t true. Your use is the paying of your taxes. If you adopt the after taxes tithing philosophy, you should also wait to tithe until after groceries and gas for your car too since you need those things. And then of course there’s the mortgage payment, utilities and insurance premiums. If you’re lucky, you might only have fifty dollars left over from your check. Then you only owe five bucks to God. The underline is added to emphasize that God does not change. Many have argued that the tithe is listed in the Old Testament and not the new so tithing is now obsolete. But no Scripture supports this weak argument. The New Testament fulfills prophecy. It does not negate God’s instructions to use as we relate to Him. And the passage is actually very encouraging, giving us the formula for prosperity that truly works. God’s plan, according to this passage is for us to have so much there is no more need, because we are providing for others. Previous: WHAT SHE DOESN’T KNOW WON’T . . . WHAT?